The construction of this church was delayed for ten years due to opposition to Fritz Wotruba’s plans, and the artist never saw the completion of the building. 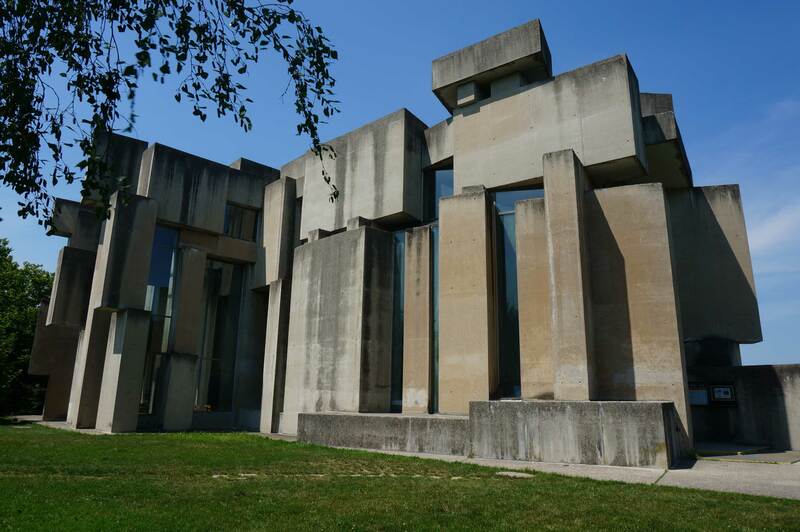 Today, the Wotruba Church stands as one of the most iconic Brutalist buildings. 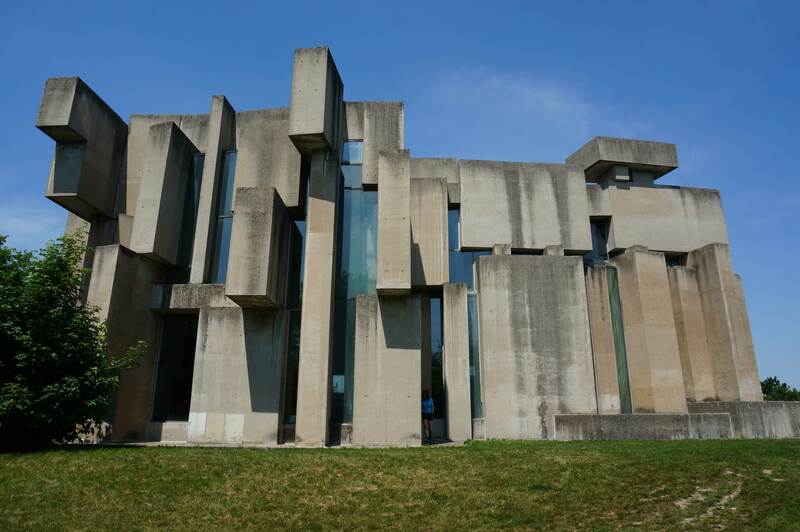 The Church of the Holy Trinity was designed by world-renowned Austrian sculptor Fritz Wotruba and built with the help of architect Fritz Gerhard Mayr between 1974 and 1976. The church is located on the outskirts of Vienna, on top of the Georgsberg, in Liesing, Vienna’s 23rd district. During the Second World War and up until 1949 the site was occupied by military barracks. The idea for the church was mooted several years before its actual construction. In 1964 Margarethe Ottillinger, a former director of the Austrian mineral oil and gas company OMV, extracted the plans from Fritz Wotruba. Several years passed by until construction was finally decided. Wotruba himself described the idea thus: ’to build something that shows us that poverty need not be ugly, that renunciation can be set in an environment that is beautiful and makes us happy, despite the utmost simplicity’. Sadly, Wotruba did not live to see the completion of the church; he died a year before, on 28 August 1975. It is hardly surprising that the church looks more like a gigantic sculpture than a sacred building. 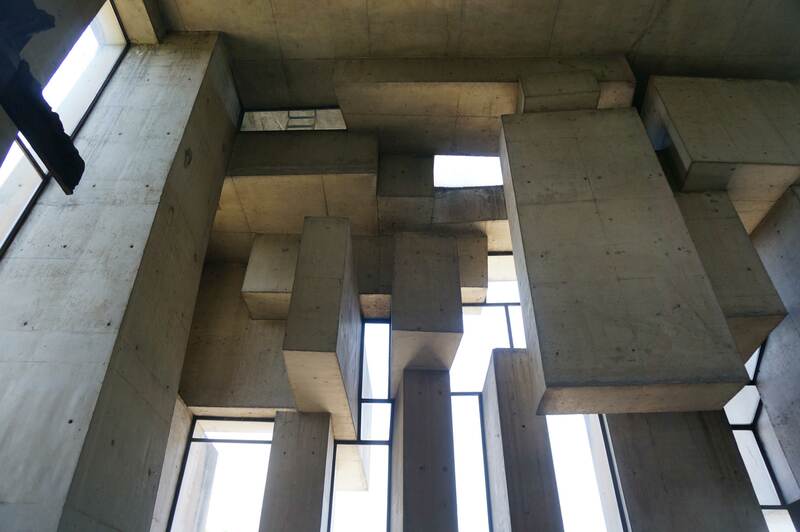 The iconic brutalist structure consists of 152 asymmetric raw concrete blocks stacked into and on top of one another, weighing a total of 4,000 tonnes. It is a quirk of the irregular architectural structure that the church changes in appearance depending on the viewer’s vantage point, revealing a new image time and time again. 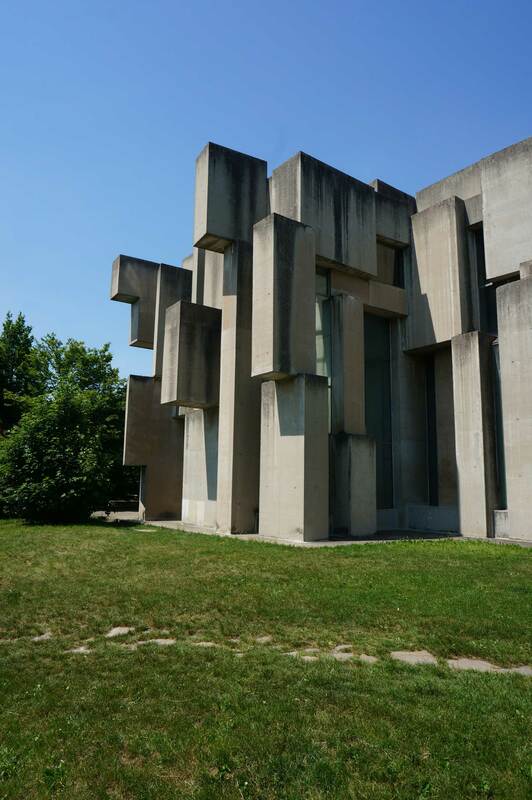 At the time the so-called ‘Wotruba Church’ was built, the absence of a clear, logical structure and the denial of visible references to standard church designs was seen as a provocation. The ten-year delay in construction is a reflection of the strong opposition to Fritz Wotruba’s plans. 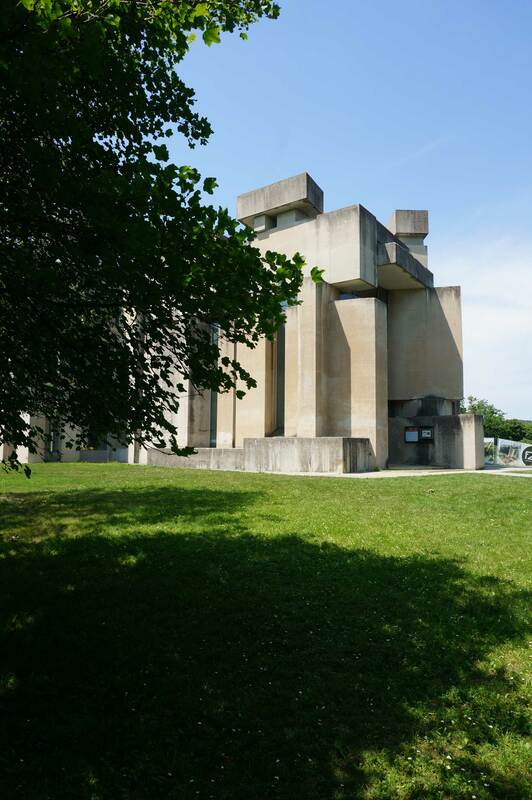 Times have since changed and, today, the church with its tectonic structure is seen as a role model and a popular testimony to brutalism as an architectural style. Over the last four years a dispute has arisen between the Austrian Federal Office for the Protection of Monuments (Bundesdenkmalamt) and the church parish over the inclusion of a glass lift in front of the church to guarantee barrier-free access. Even the architect Fritz Gerhard Mayr spoke out against the plans. The debate was brought to an end in 2017 when Austria’s supreme administrative court ruled in favour of construction, and the lift is to be completed by the middle of 2019. For me, first and foremost a building – not even a church – where typically for the 21st century they destroyed nature on a wonderful hillside! ‘Destroyed’ insofar as people were just faced with a fait accompli. That way, you get people’s emotions going, and people are amazed and start talking. I like to compare it by saying it’s a bit like a Nitsch. Those horrid paintings with all that blood really affected people. Definitely more in a negative sense than a positive one. This building’s a bit like that. If they’d built a building with great big blocks of stone like they did in Egypt with the Pyramids, then people would have been faced with a touching moment. Truly, it would have been for the third millennium or beyond. But what they did here is a symbol of the way we destroy our environment! I decided to combine my outing to this church with a hike. I’d heard from the media that there was a debate going on about this church, the Wotruba Church, with regard to barrier-free access. 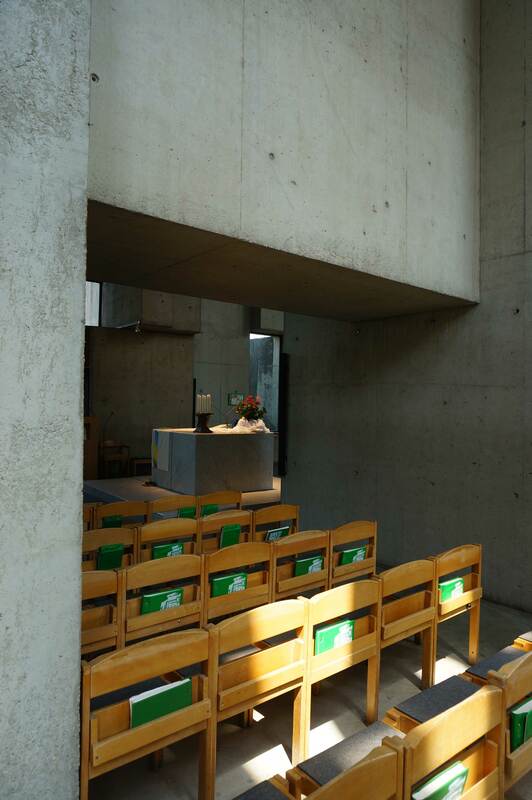 Because the architect would not agree to having any changes made to his building, his concrete building. By having that access put in, as it were. So I’m standing here and I’m thinking, ‘well, I’m not bothered by that access at all’. You can’t even see it from most angles. And there’s no way it obstructs the view of this very special building. The combination of glass, glazed surfaces, narrow glazed surfaces and concrete blocks that look as if they’ve been pegged together. Inside, I find that it all contributes to creating a truly astonishing atmosphere. And, yes, I’m glad, I’ve never seen a church like it before and of course it contrasts with the classic image of churches, of catholic buildings. I’m a tourist here in Vienna and I read in a guide book that the church was really interesting. I’m very interested in architecture and in beautiful buildings, which is why I absolutely wanted to see it. – The building is extreme. Yes, it looks extreme, extremely cool. But it also reminds me of a bunker. But then, when you enter the interior space, you get a whole new perspective on the building. – I reckon it must be from the 1970s. Nowadays they tend to build timber buildings, timber churches, and rather simple structures. They don’t build with so much concrete anymore. Nonument is an ongoing research and artistic project initiated by MoTA – Museum of Transitory Art from Ljubljana Slovenia, dedicated to archiving, mapping and studying the architectural heritage, monuments and public spaces of the 20th century. The Nonument Group, an international art collective, operates within the ambit of this platform. By staging artistic interventions, the collective calls attention to the importance of public spaces and the issues caused by nonsustainable management of architectural heritage. The Nonument website is part of the MAPS co-operation project. Six organisations have contributed to this database: CCEA (Prague), WH Media / Beamy Space (Vienna), Tačka Komunikacije (Belgrade), House of Humor and Satire (Gabrovo), ARTos Foundation (Nicosia) and MoTA - Museum of Transitory Art (Ljubljana). The project is co-financed by Creative Europe.